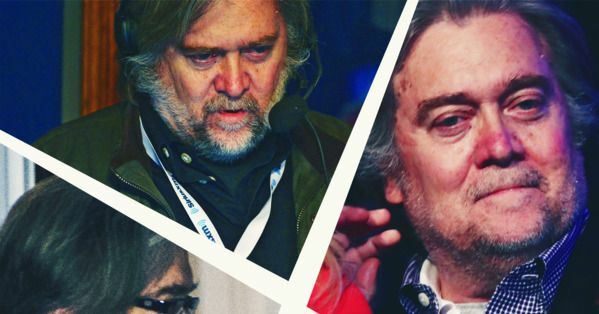 An internet prankster posing as Stephen Bannon baited Breitbart Editor-in-Chief Alex Marlow into saying he would assist Bannon with his "dirty work" and help push Ivanka Trump and Jared Kushner out of the White House. The Breitbart News editor said Kushner and Ivanka Trump would be "out by end of year" from their roles as White House advisers, according to the emails provided to CNN by the anonymous web troll, who has the username @SINON_REBORN on Twitter. The fake account — designed to look like it was Bannon's — first messaged Marlow on Sunday in an apparent attempt to fool Marlow into talking about Trump and Kushner. In a statement, the White House said "White House Chief of Staff John Kelly and Steve Bannon have mutually agreed today would be Steve's last day. We are grateful for his service and wish him the best." Steve Bannon's White House colleagues can't believe what they're reading tonight — and here's the twist: neither can Bannon. The White House chief strategist has told associates he never intended to do an "interview" with an editor at the American Prospect, a left-wing publication. Bannon has told associates that he admired the author's stance on China, and so called the journalist, Robert Kuttner, on Tuesday, to discuss his piece. Apparently Bannon never thought that the journalist might take his (very newsworthy) comments and turn them into a story. It's Anthony Scaramucci all over again (minus the curse words.) The result is not good for Bannon, who is already under pressure, with colleagues lined up against him and a president who agrees with him ideologically but tells associates he thinks Bannon is a leaker. One thing has become apparent to both the president’s allies as well as his opponents: When it comes to governing, speed does not always guarantee success.